'The Purple Door Detective Agency is hiring. Those without magic need not apply. Salary commensurate with experience. Apply at the agency on Brooke Street, No phone calls or psychic links. Sunshine Merryweather is a young witch with a passion for colorful clothes and good food. She is the owner/operator of the Purple Door Detective Agency. Her partner, John, was brutally murdered three days ago, and she won't stop until she finds his killer. 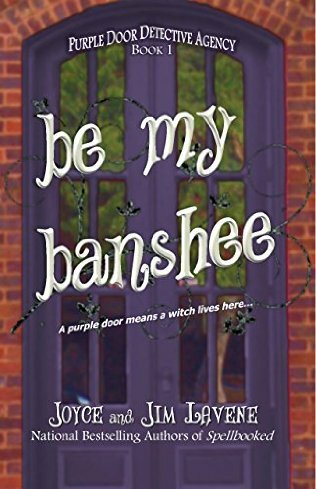 Aine is only interested in one thing when she walks into the building with the purple door--locating the last man alive in the branch of the O'Neill family she haunyt as a beane sidhe. She has been asleep for more than 200 years in a ruined Irish castle and realizes that the world has moved on without her. She needs to find the O'Neill heir and encourage him to start a family or she will pass from existence when he dies. Sunshine sees a potential partner when she looks at the powerful beane sidhe--they could be the next Dynamic Duo! But Aine isn't interested in Sunshine's schemes--until the witch agrees to help her locate O'Neill. Even then, it will be a short-term association at best from Aine's point of view. She has no need of witchcraft. I tried really really hard to like this book. I really did. It just didn't work for me. I love these authors and their writing and all of their other series and I thought that I would like this one too, but it really wasn't my cup of tea. This book is geared towards readers who enjoy paranormal mysteries. I am not really someone who enjoys that genre and this book fell flat for me. It was a little chaotic and hard to keep up with. With different creatures that interact with one another it was a little confusing. I typically like witches but this book was a little bit of a stretch for me. I did get into the book a little towards the ending, so there is hope for my liking this series. I am willing to give the next book in this series a shot, but don't know how I will be receptive to it. It wasn't the writing in this book that threw me off. It was the paranormal part as it is something that I don't typically read. I really think that this book will appeal to readers who like paranormal mysteries. It just wasn't for me. Sunshine Merryweather is the owner of the Purple Door Detective Agency and when this book opens she is searching for an associate to fill an opening at the agency. The position is open because Sunshine's partner, John, was brutally murdered three days prior. Sunshine is still grieving her friend's loss and is determined at any cost to bring his murderer to justice. With the help with several paranormal creatures, she sets out to see that her friend's murder is vindicated. Overall, this book just wasn't for me. I thought that the writing was good and that the characters were well developed. It just wasn't something that I typically read or enjoy reading. I feel bad because I really wanted to like this book because I really like the authors' other books. 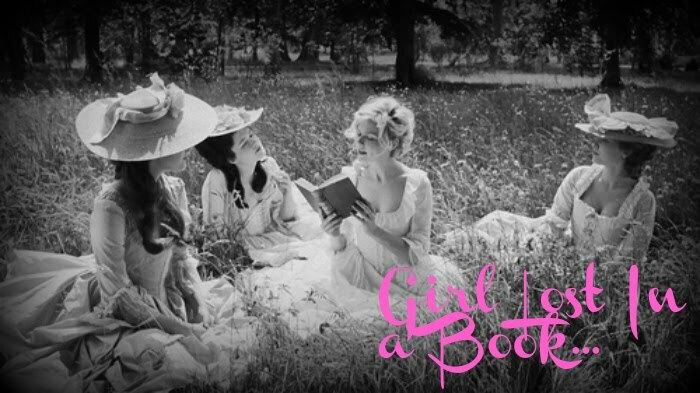 I will have to read the next book in this series to see if it is something that I want to continue with. I am curious to see how others received this book. Joyce and Jim Lavene write bestselling mystery fiction. 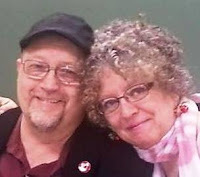 They have written and published more than 60 novels for Harlequin, Berkley, and Charter Books along with hundreds of non-fiction articles for national and regional publications. They live in rural North Carolina with their family, Quincy, their black cat, Stan Lee their tabby and their rescue dog, Rudi. This has been a stop on the Be My Banshee hosted by Great Escapes Virtual Book Tours. Make sure that you stop by the other stops as some of them are hosting giveaways of this book! September 21 – 3 Partners in Shopping, Nana, Mommy, &, Sissy, Too ! Disclaimer: This book was given to by the publisher, through Great Escapes Virtual Book Tours, in exchange for my honest review. I reviewed this book without compensation of any kind. All thoughts and opinions are solely mine. Good interview even if the story didn't quite do it for you. The Lavenes have so many characters and series, they can't all be for everyone! Thanks for the honest review. I happen to be a huge fan of paranormal mysteries and I can't wait to check this out! I'm not sure if I'll like a paranormal mystery or not---but I'd like to try it.